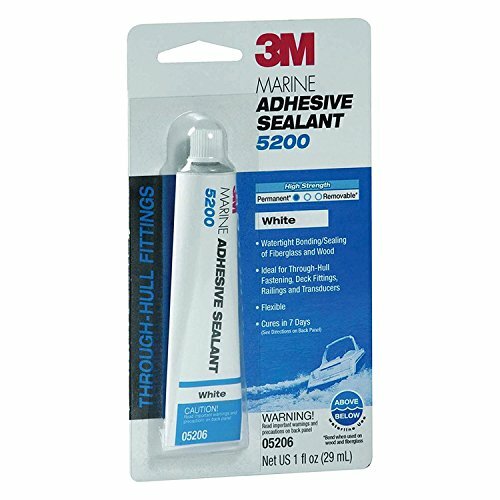 3M 05206 Marine Adhesive/Sealant 5200, White / 1 oz. 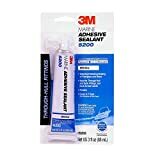 3M Part#: 051135052068 051135052068 - 3M 05206 Marine Adhesive/Sealant 5200, White / 1 oz. 3M manufactures a wide array of maintenance products specifically designed to perform in the harsh marine environment. With 3M quality in every product, you can be sure of getting the results your boat deserves. This high-performance polyurethane adhesive/sealant becomes tack free in 48 hours, completely cures in 5-7 days with no shrinkage. The seal is extremely strong, retains its strength above or below the water line, and stays flexible allowing for structural movement. Stress caused by shock, vibration, or swelling is effectively absorbed. It has excellent resistance to weathering and salt water. Works to seal fiberglass hull to deck joints, wood to fiberglass, portholes and deck fittings, thru-hulls, etc. Works above & below water line. 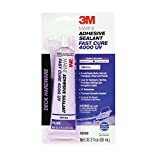 3M 05280 Marine Adhesive/Sealant Fast Cure 4000 UV, White / 3 oz.